Choosing a front door is fraught with considerations. Here are ways to narrow your choices. Just as the eyes are the windows to the soul, front doors are the portal to your home. Though you probably don’t notice your door a lot, visitors and guests will. When deciding upon a front door, you’ll need to take several things into account. 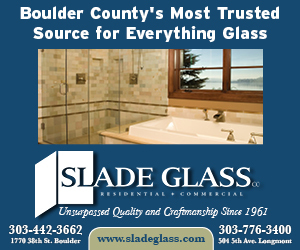 “Number one: It should not be ugly,” jokes senior salesperson Boone Becker of SolarGlass Window and Door in Boulder. Seriously, he adds, “It’s the least expensive way to greatly change the appearance of your home.” He suggests perusing catalogs to help define the door style for you. With so many doors on today’s market, answering a few questions can help narrow your choices. “How much privacy do you need from your front door?” asks Barbee James, owner of Details Design Studio in Boulder. Sidelights—those two glass panels that flank a door—will let passersby see in, depending on the opacity. Transoms above a door can provide both privacy and natural light. Scott Rodwin, owner of Rodwin Architecture + Skycastle Construction in Boulder, has created a number of homes on mountain properties that have plenty of privacy. “This allowed me to use large areas of thermal glass in the front door to visually connect the indoors to the outdoors,” he says. Homeowners can also pare choices by considering their home’s exterior. “If someone wants a prairie-style door,” James says, “his house should have a prairie exterior” (an architectural style marked by horizontal lines, flat or hipped roofs, and overhanging eaves). James once had a client with a farmhouse who installed a custom contemporary door without consulting her. “It looked way out of place,” she says. If the door has glass, you need to consider what exterior style it would best complement. A door with oval glass would complement a traditional, farm-style or Victorian home, James says. 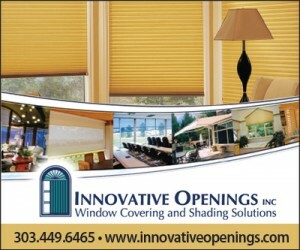 Square glass would fit with prairie style, and glass slivers or slats would complement a contemporary home. Doors should also correlate with the home’s setting. 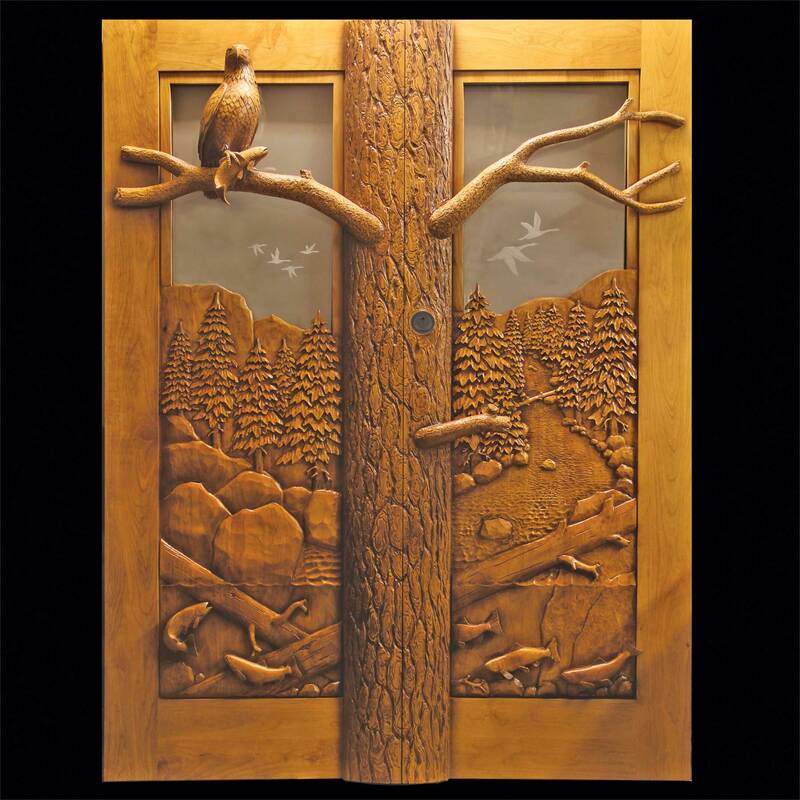 Fine-art woodcarver Ron Ramsey of Lake Tahoe, Calif., makes custom doors with carved depictions of trees, herons, bears and other nature images. “A bear could go with a mountain home, a heron could go with a lakeside home, and a tree could go with most any home,” James notes. 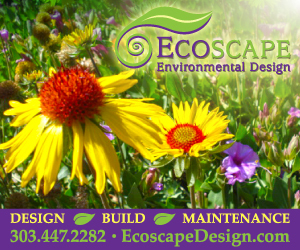 The building palette in Colorado tends toward natural materials, and nothing beats wood’s beauty. But weather takes its toll. “In our climate, a wood door can become a hobby, because it will require a good bit of maintenance,” Becker notes. If not properly maintained and sited, wood doors are prone to warping, splitting and cracking. Fiberglass is extremely durable and a good insulator but has fewer design options because it’s mass-manufactured. Some other materials include energy–efficient steel, high-efficiency thermal glass, and composites like aluminum-clad wood or wood-and-fiberglass. Contemporary is a popular style in Boulder County, with new homes boasting higher ceilings. “Things are getting taller,” Rodwin says, noting the standard door height is 6-feet-8-inches tall, but he’s seeing door heights of 7 and 8 feet on luxury homes. Painted doors in bold colors, like black, red, purple, teal and yellow, are also popular, James says. And both Becker and Rodwin point to a glass trend. The thermal efficiency of architectural glass has vastly improved, Rodwin notes, resulting in more glass being incorporated into front doors. Instead of classic grilles and glass inserts, however, “a contemporary, fun style” is emerging, Becker says, that features glass in vertical or horizontal stacks and contemporary patterned grilles. According to Witters, unlike the leaded and beveled glass of former years, modern doors are minimalist, with simpler details like geometric glass in unusual positions.